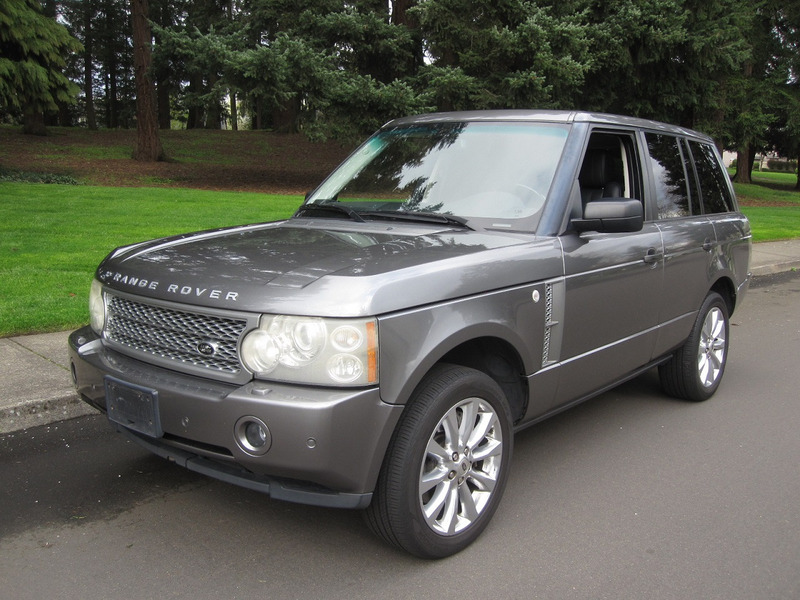 RANGE ROVER IN EXCELLENT CONDITION. EQUIPPED WITH SUPERCHARGED V8 ENGINE, AWD, A/C, POWER MOONROOF, HEATED FRONT AND REAR LEATHER SEATS, NAVIGATION, REAR CAMERA, RIDE CONTROL, FRONT AND REAR PARKING SENSORS, TILT WHEEL, CRUISE CONTROL, POWER WINDOWS, SEATS, AND DOOR LOCKS, ALARM SYSTEM WITH REMOTE ENTRY, HARMON-KARDON LOGIC 7 STEREO SYSTEM WITH 6 DISC CD CHANGER, BLUETOOTH, ADAPTIVE HEADLIGHTS, AND ALLOY WHEELS, CLEAN TITLE AND CARFAX REPORT SHOWING NO ACCIDENT HISTORY. TRADES ACCEPTED. MAY BE SEEN AT 3234 SE POWELL BLVD IN PORTLAND. FOR MORE INFORMATION, OR TO SCHEDULE A TEST DRIVE, PLEASE CALL (503) 516-9364. Visit Autobest Motors online at www.autobestmotors.com to see more pictures of this vehicle or call us at 503 516-9364 today to schedule your test drive.